LT 0-6-0PT No. 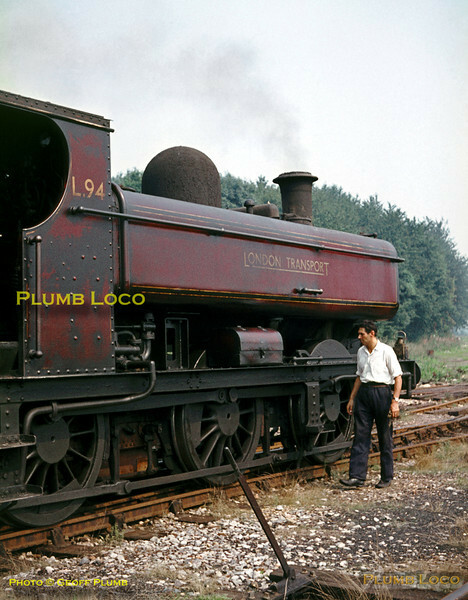 L94 has arrived at the tip at Croxley with the spoil train from Neasden and the driver walks round to examine the engine before shunting operations commenced. Usually the full wagons were left at the tip to be unloaded by one of the steam cranes, and the engine took an empty set back to Neasden. May 1968. Slide No. 3291.